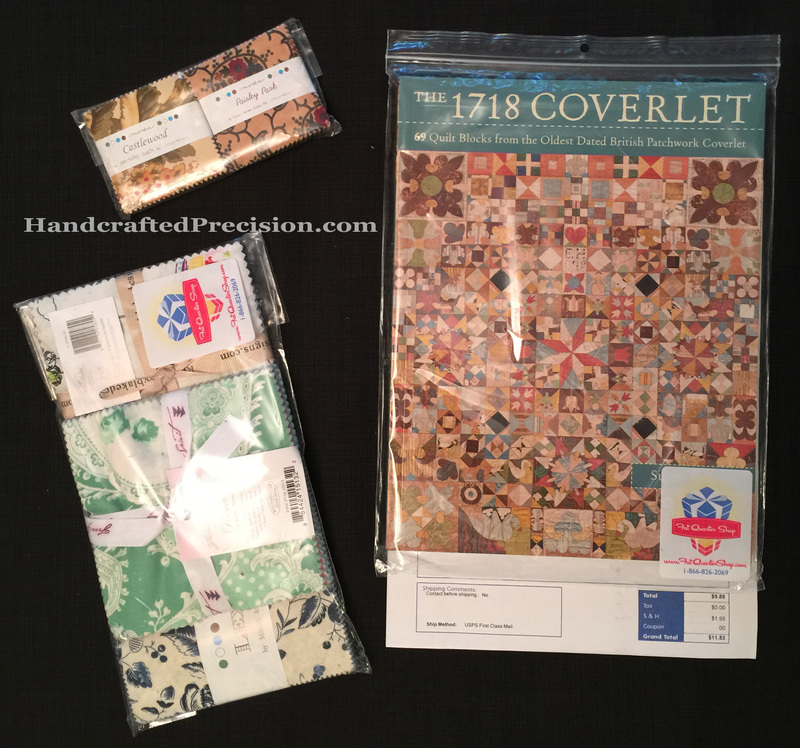 I could not resist buying a mini charm pack (a package of precut 2 1/2″ squares from one fabric line) and seeing if I could use it for fabric variety instead of buying or begging more scraps. 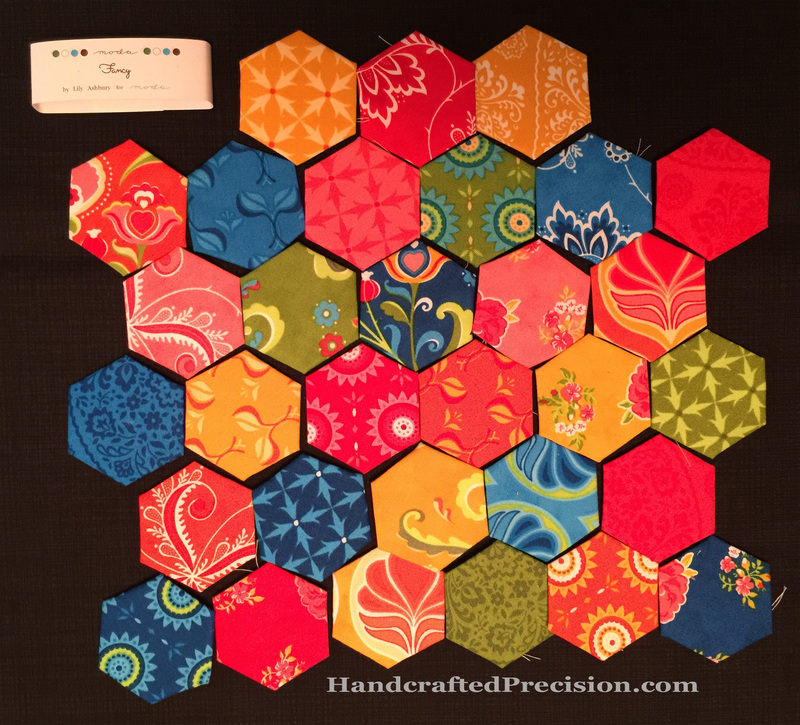 I basted one square of each different fabric in the pack to a 1″ hexagon (without trimming!) 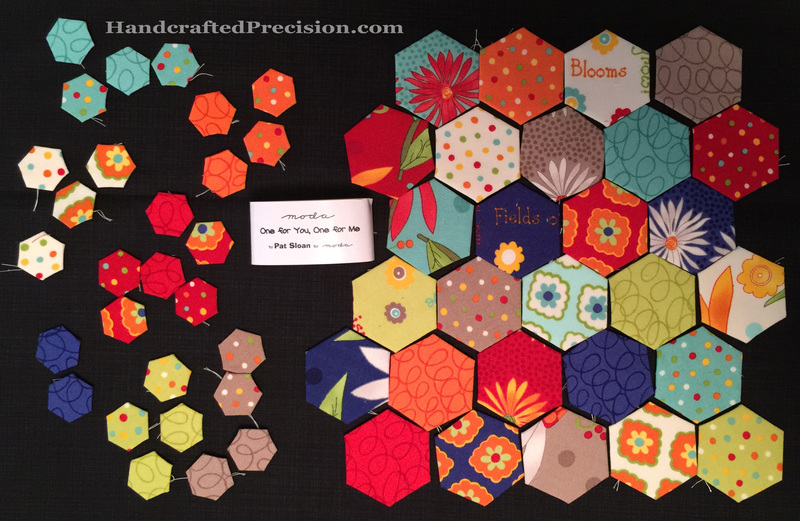 and each of the repeat squares to two 1/2″ hexagons. 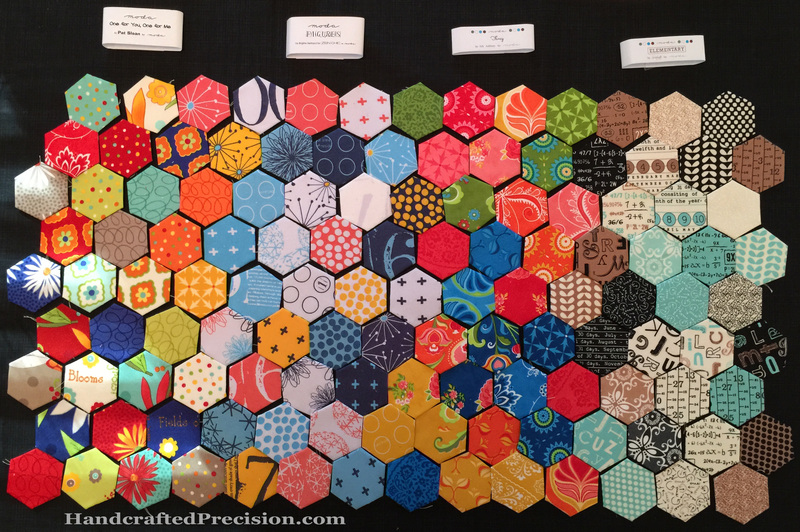 I really, really like this fabric line, Elementary for Moda. 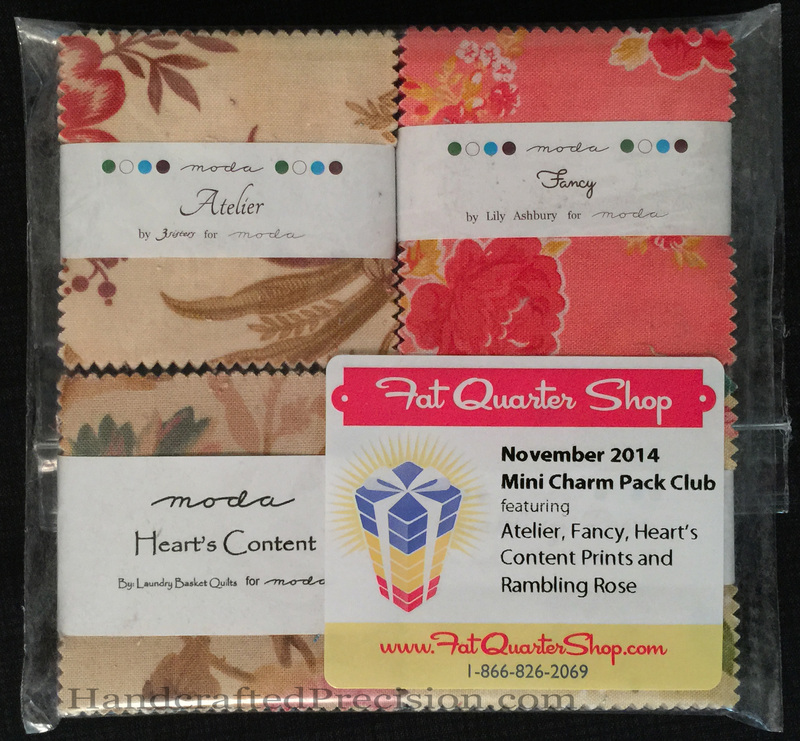 Moda mini charm packs seem to always have 42 squares. 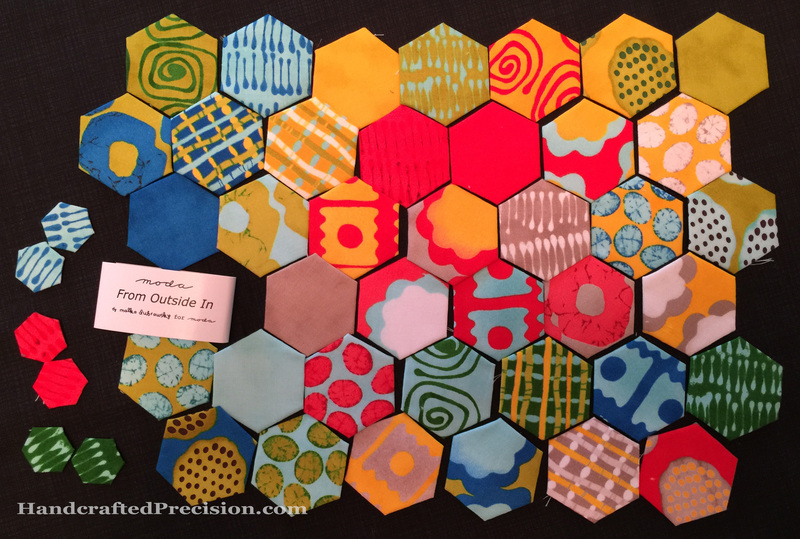 This one has 32 patterns with 10 repeated. 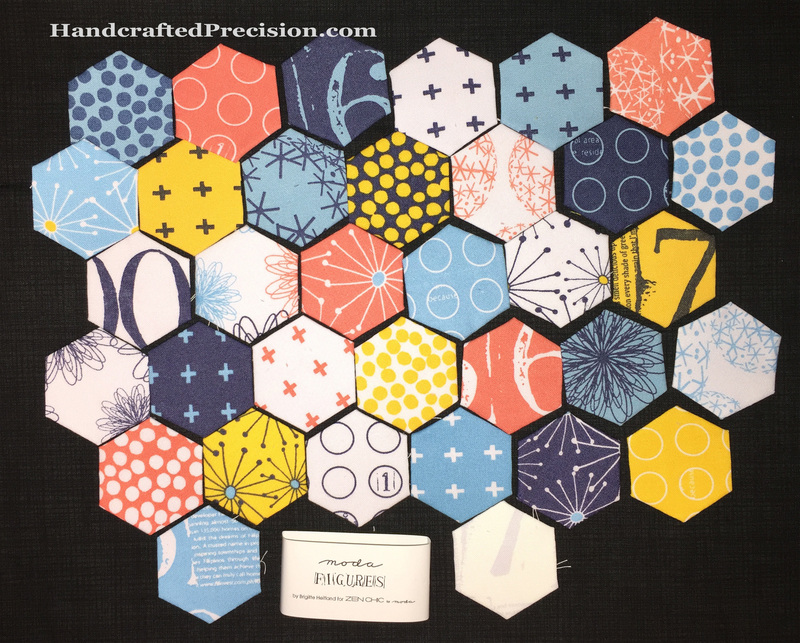 I’m not sure what I’m going to use the 1″ hexagons for yet, though I’m thinking throw pillows. 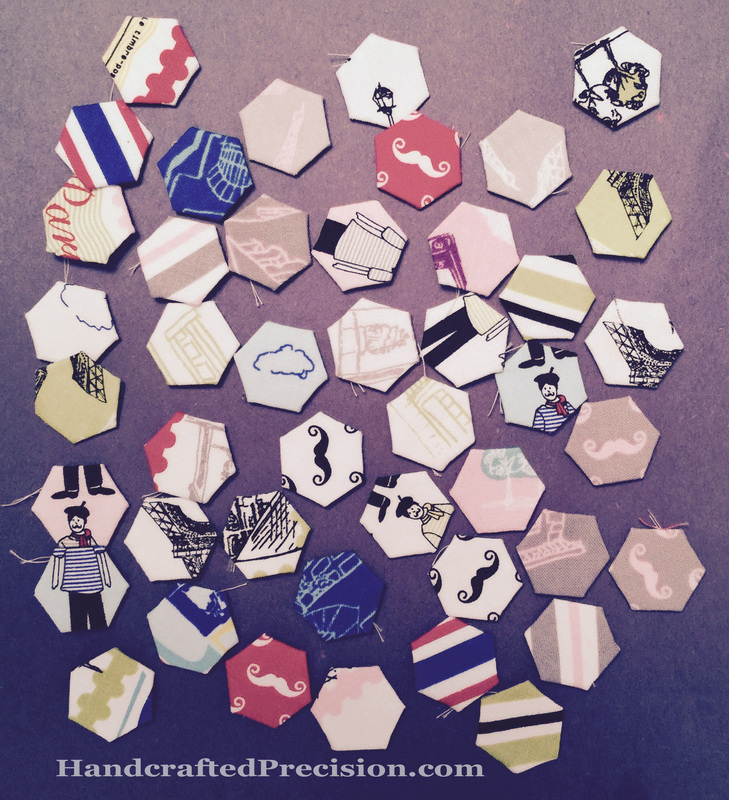 I had the papers already, so it made sense to use them. 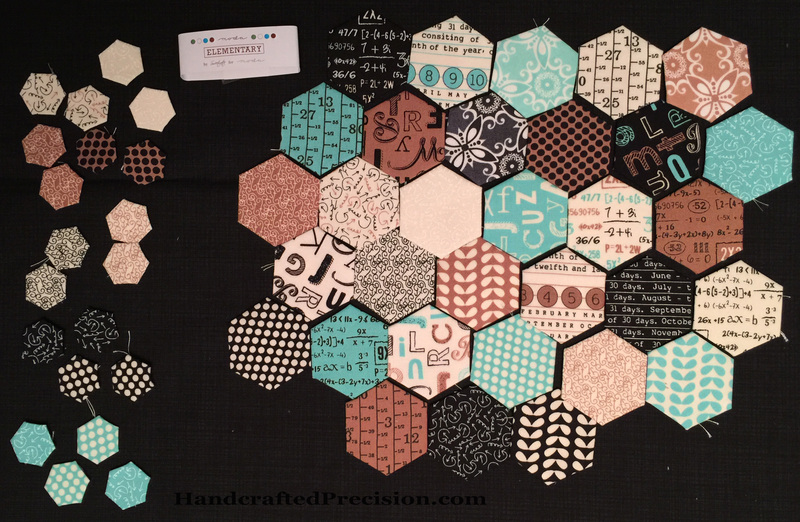 I doubt I’m going to feel confident enough anytime soon with my 1/4″ seaming to machine piece with 2 1/2″ squares, so it was either use the 1″ hexagon papers or put the fabric away. 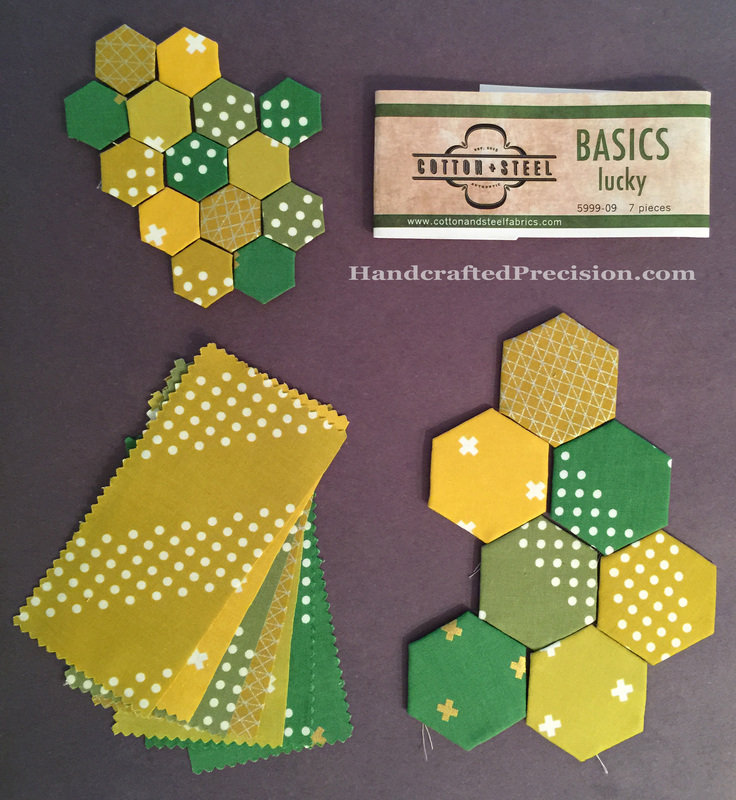 I got a nice amount of 1/2″ hexes from the pack, one of each pattern for my hexagon diamonds (when they’re recognizable colors), and one for my “scrappy whatever” project. 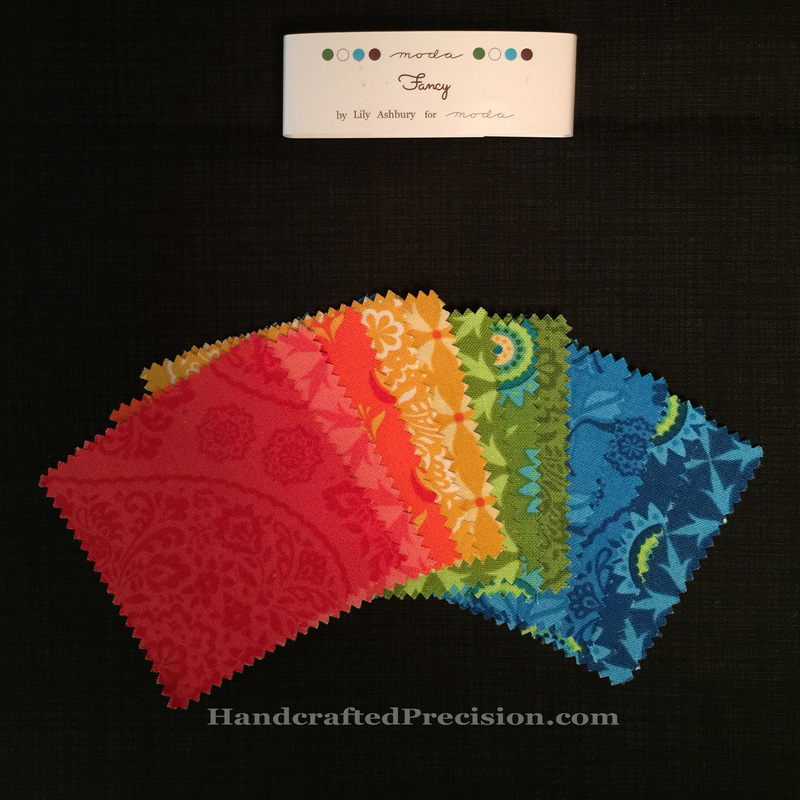 This picture ended up super tall. Sorry. 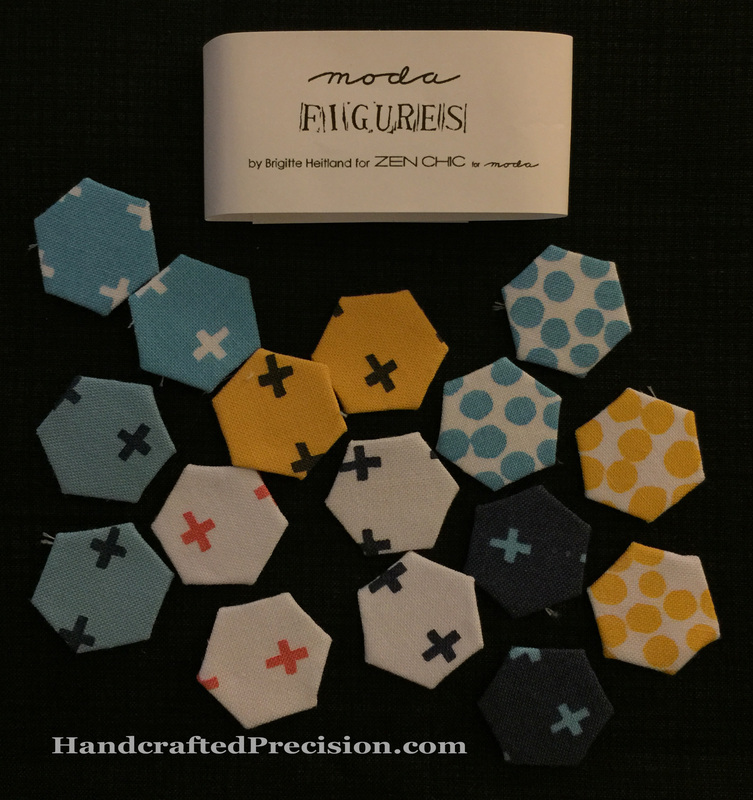 I’m pretty excited about using mini charm packs, since the repeated patterns are usually the more monochromatic ones, which will fit well into my hexagon diamonds project (I’m calling it “I’m Not a Machine”–I’ve gone back and tagged posts about it with that name). 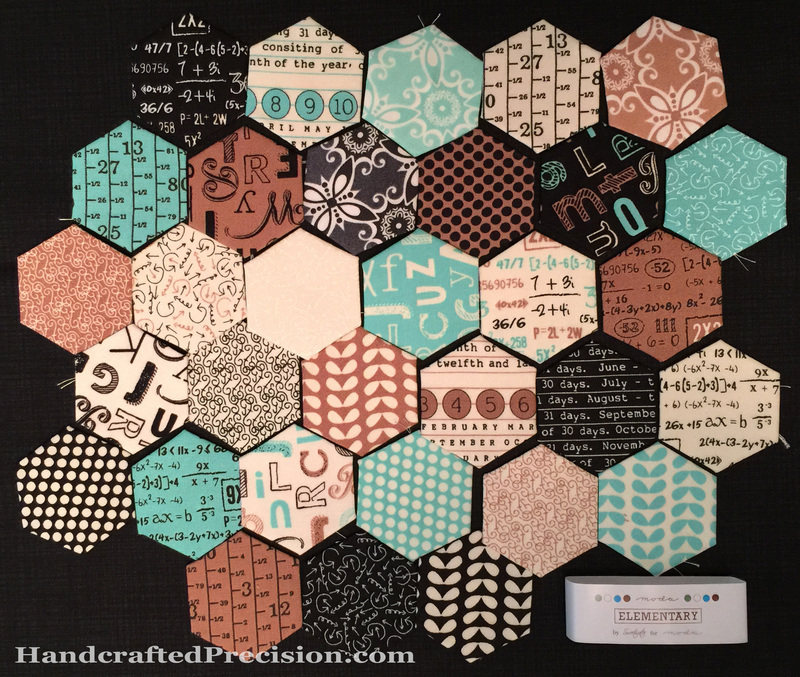 It was also a lot of fun to baste the 1″ hexagons without trimming that squares. 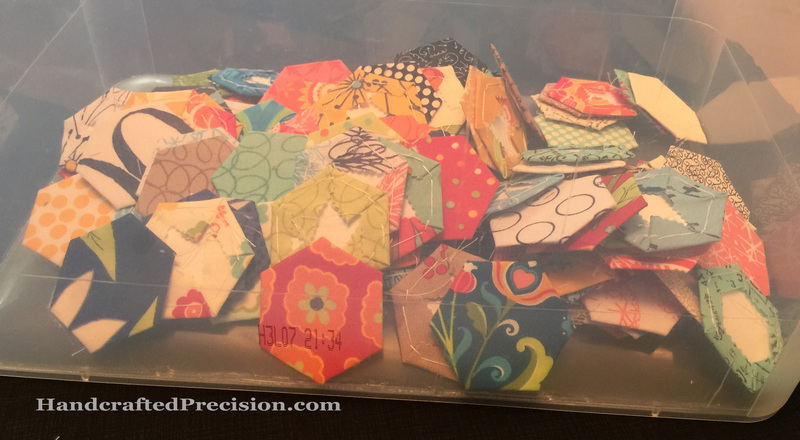 I’ve heard that the added bulk is bad when it comes time to quilt, but we’ll see. 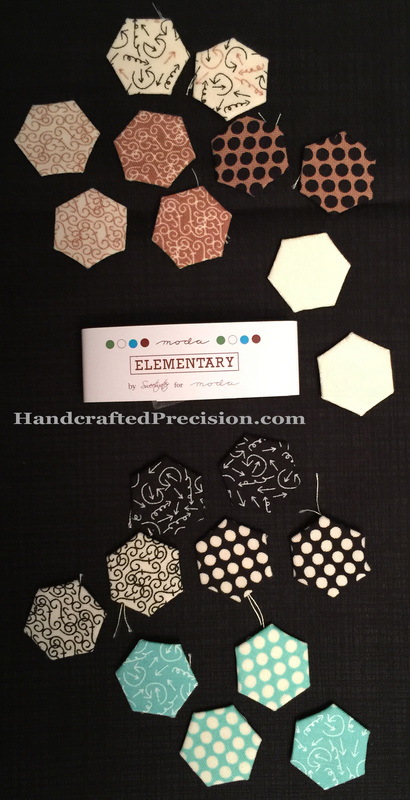 I’m thinking about getting a die cutter. 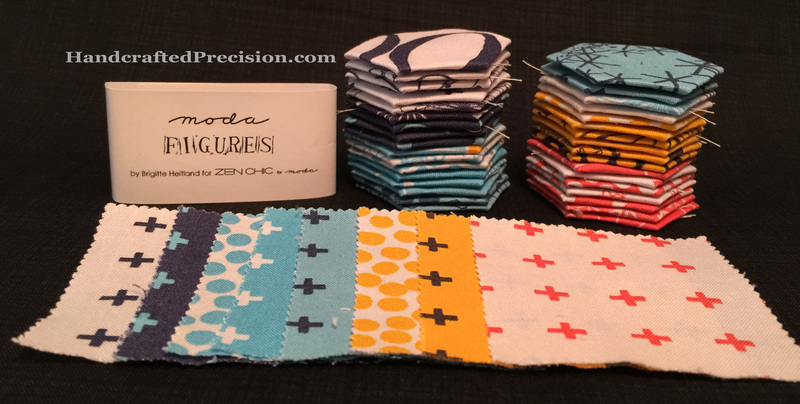 If I’m going to be doing a lot of EPP, trimming the fabric to size is already getting tedious, and I haven’t even done it too much yet. 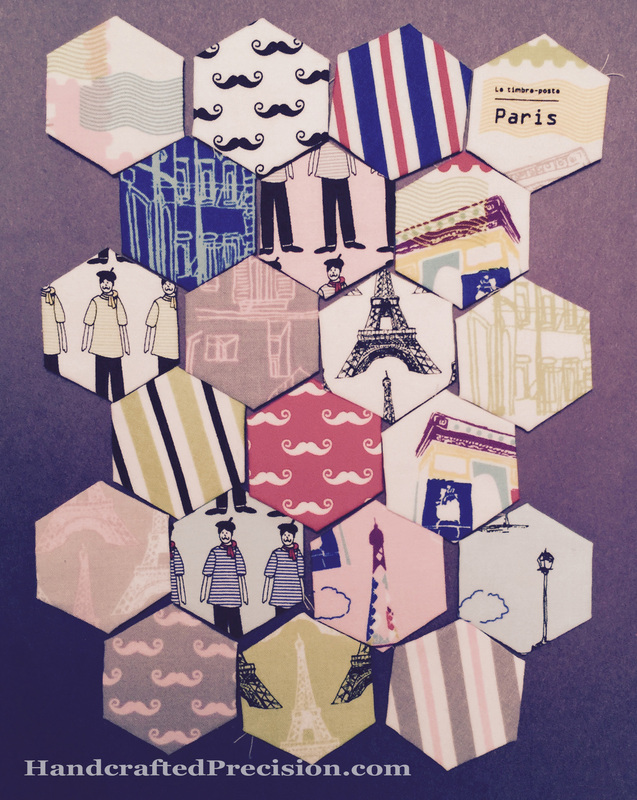 This entry was posted in English Paper Piecing, Hand Sewing, Hexagons, Precuts on September 30, 2014 by HP.